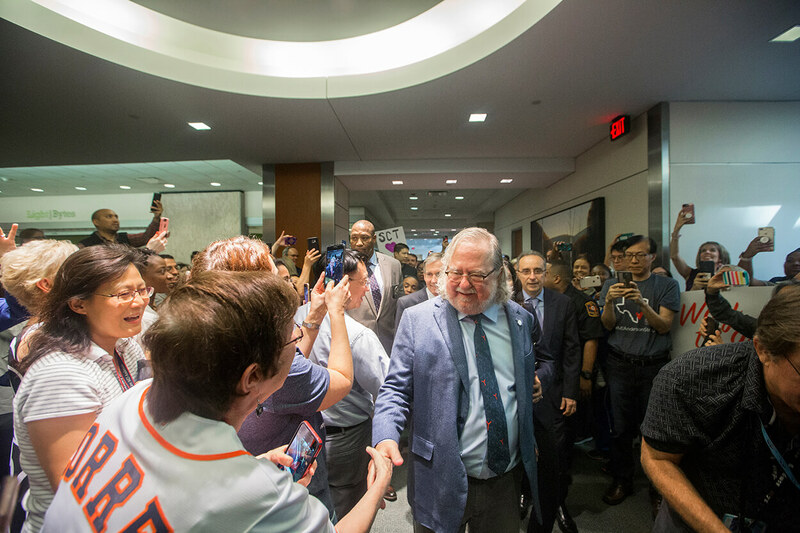 Celebratory signs, posters and banners along with spirit fans with the likeness of James P. Allison, Ph.D., descended on the hallways of The University of Texas MD Anderson Cancer Center on Friday as hundreds of well-wishers cheered during an indoor parade to celebrate the institution’s first Nobel laureate. Allison, an immunologist, was awarded the 2018 Nobel Prize in Physiology or Medicine jointly with Japanese immunologist Tasuku Honjo, M.D., Ph.D. on Oct. 1, 2018 for the discovery of cancer therapies that stimulate the immune system to attack tumor cells. 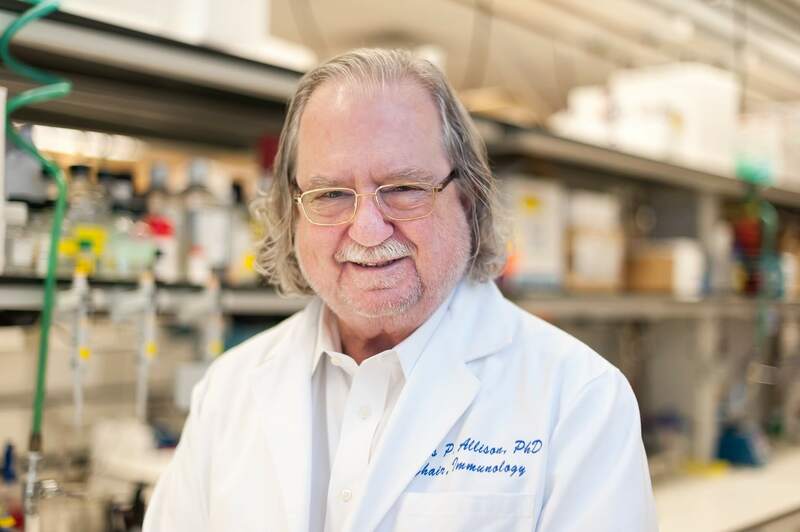 After nearly an hour of rock-star treatment through hallways and up escalators, Allison was joined in a brief news conference by his wife and research collaborator, Pam Sharma, M.D., Ph.D., and MD Anderson President Peter Pisters. The Nobel laureate offered this advice to young people who are interested in science, technology, engineering and math—fields collectively known as STEM. He also commented about how his work has contributed to cancer-healing miracles.